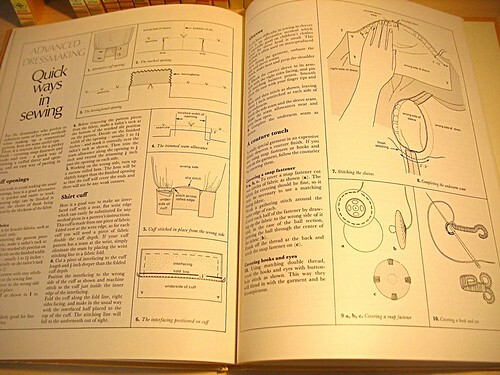 We've come a long way baby - Stop staring and start sewing! There's this great bookstore it town that has a "free cart" where they dump unwanted books. The cart sits in front of the store every day and you can pick through it and take whatever you want. Well one day a few years back I hit the free cart jackpot and got this WHOLE SET of Creative Hands books circa late 60s to early 70s. Behold. 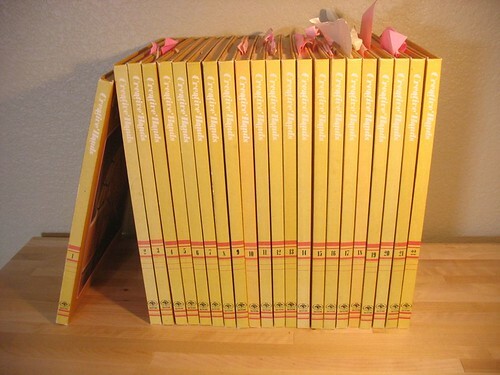 Volumes 1 - 22. They are full of hundreds of ideas. My daughter made these mice recently. Definitely a worthy project even 40 years after somebody first thought of it. This sweet pinafore is another classic idea. 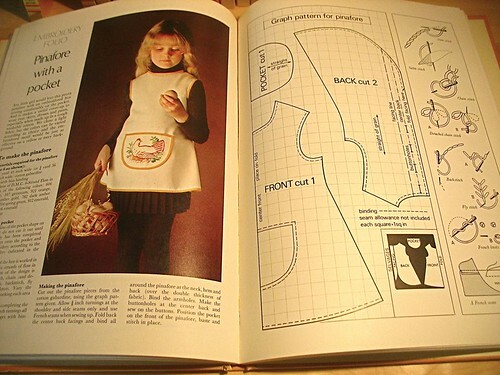 They include the pattern for the pinafore and on the next page is the embroidery pattern for the pocket. Nice. 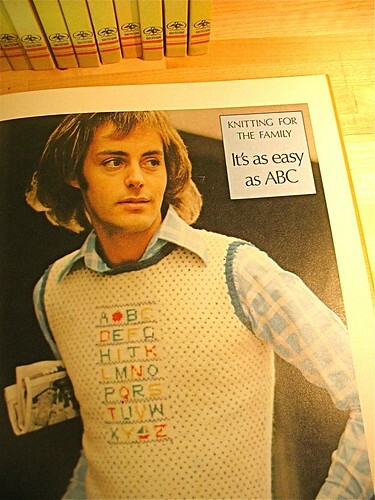 But considering it was the 70s you have to expect things to get a little interesting. 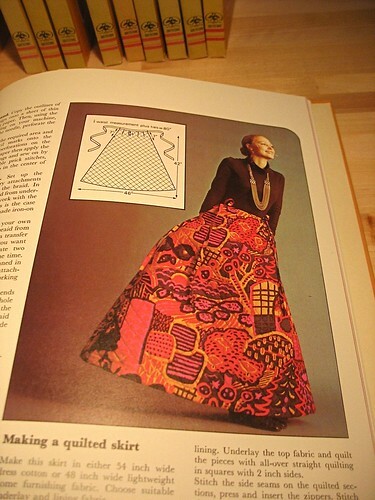 Check out this quilted skirt (I believe it's a "maxi" skirt). Can you imagine the poor gal that wore this to her Weight Watchers weigh in one day and left in tears? "What do you mean I've gained 8 pounds?! I've had nothing but carrots and broiled chicken breasts all week!" Dang. 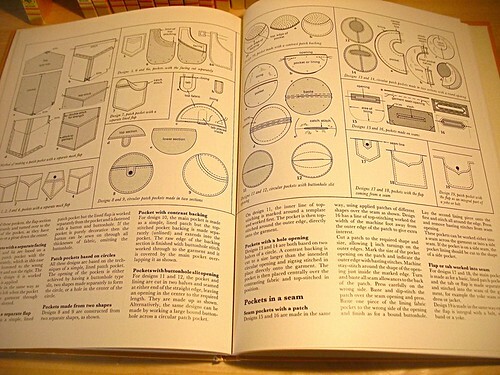 Fortunately the groovy factor is offset by some truly worthwhile sewing tips like help with pockets and other useful ideas (with nice illustrations to boot). My industrious hubby Joey bought me this gorgeous new cutting table and assembled it (you can see the top of it in these pictures. I will post better pictures of the whole thing soon). I'm really grateful and want him to know it. 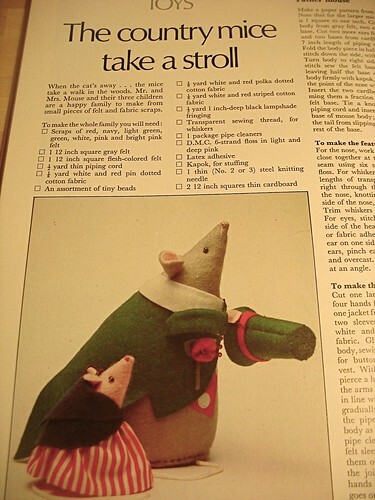 I'm thinking of making this for him (yes, that's a dude). What do you think? Very Keith Partridge. Far out.